Each year, retail stores lose thousands of dollars due to theft, damage, and fraudulent claims. Whether employees, thieves, or other third parties are responsible for these losses, without any evidence, there often is not much store owners can do. However, by using a comprehensive commercial surveillance system equipped with CCTV camera, retail stores can protect their merchandise and business, help prevent theft and damage, and always have evidence available in the case of an incident, such as a customer caught stealing. Many small- to medium-sized stores owners may think of surveillance equipment as an extravagant luxury. However, today’s store security camera systems, such as CCTV security cameras, offer more protection than ever before, making it a great investment for stores of all sizes—even independent stores! There are plenty of reasons that retail stores should opt for security camera installation and, in this blog, we are going to cover some of the essential ones. If you own a retail store or business and have not yet integrated CCTV security camera systems, check out the following reasons why it might be a good idea. Before we get into the reasons why stores—such as retail or department stores—should install security systems, we thought it might be best to cover what they are, specifically CCTV security cameras. CCTV, or closed circuit television is a system where the circuit in which the video is transmitted is closed, with all the elements—including the camera, monitors, and recording devices—are directly connected. The most common use for CCTV is in security camera systems. These systems are based on a strategically placed network of video surveillance cameras that capture footage, either broadcasting it in real-time to a surveillance monitor, or recording it for later reference and viewing. Theft is an issue that many businesses face on a consistent basis, especially retail. While most retail and department stores are affected by consumer theft, internal theft also can raise concerns for many. Having a CCTV security system in place can help store owners and managers easily monitor customers as well as employees that have access to products and merchandise within the establishment. When theft or another incident takes place, having a surveillance video system in place can help store owners backtrack and gather information about the person who committed theft. When these stores do not have a security camera system in place, the chances of catching customers or employees after a crime is significantly reduced. Real-time monitoring can be extremely useful for some retail stores. Commercial security camera systems will enable store owners and other approved employees to monitor essential areas of the store continuously and in real time. Generally, monitoring can be done from a computer, tablet, or mobile device from anywhere at anytime. What’s even more, is that it is possible to have multiple job stores, such as ones included in a corporate chain, communicate using the same network, with each of the cameras views accessible through the internet. While store owners and managers should not have to monitor their workers to ensure they are doing their job, the fact is that some workers will slack off and cut corners. It is proven that when the boss is watching, employee productivity is increased. However, those in charge aren’t always available to monitor an employee’s every move. Depending on the type of store, surveillance cameras in stock rooms, near registers, and on the main floor can help those in charge quickly point out which workers are not being as productive as others. When CCTV cameras are added to a store or business, there will be a noticeable difference in the behavior of employees. The presence of these cameras encourages employees to work hard, punctual, and safely. These cameras can come in handy in settling disputes, reducing workplace violence, and resolving conflicts between employees. The overall proper installation of CCTV security cameras can improve the working environment in retail, department, and other types of stores. CCTV security camera installation is not only about improving the safety and security of a store, it can be about improving the business, too. Store owners and managers can use security cameras to offer a better shopping experience for their customers. Cameras will not only help a business monitor the service being provided by team members, but the experience the customers are having, too. Many stores often have areas that are off limits to customers and sometimes certain employees. These areas can include employee break rooms, inventory rooms, or even areas that contain products and property of high value. A network of surveillance video cameras will enable department and retail stores to better protect sensitive or private areas, even when nobody is monitoring the video. Security cameras help protect valuable or high-dollar products from leaving the premises without purchase and it helps businesses identify those who are suspiciously visiting certain areas frequently. Another major reason that stores—especially retail and department—should install a video surveillance system is for video documentation of events. Some stores may require video documentation of certain events that happen on site, such as shoplifting, as part of compliance or regulated business purposes. No matter which event occurs, whether criminal or suspicious activity, a customer or employee injury, or another event, a security camera system can help store owners and managers determine what actually happened, who was involved, and what was affected. If insurance companies become involved at any time, documented footage can be effective at reducing casualty claims. One of the most overlooked benefits of commercial CCTV security cameras is that they enable store owners and managers to remotely monitor one or multiple locations from one screen. Being able to have a visual of all business sites will give them peace of mind in knowing that all aspects of the store are operating properly. Even when devastating theft, damages, or events occur, business owners will have a high level of comfort in knowing it was caught on tape and can be later reviewed to determine what happened. Plus, when authorities and insurance companies become involved, security cameras should provide enough evidence to protect the business involved. 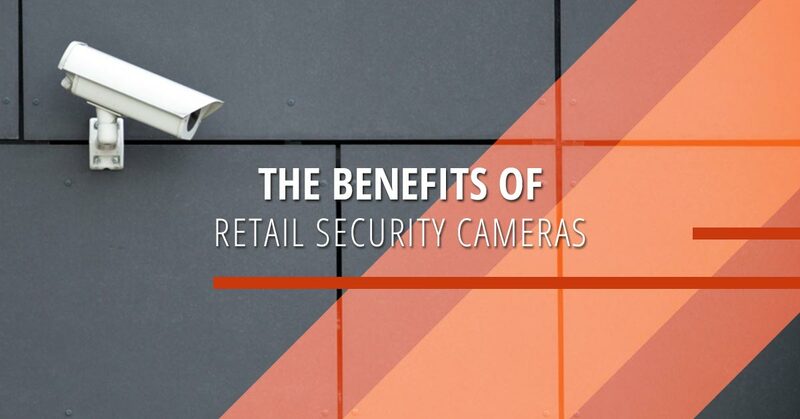 As you can see, there are plenty of reasons to have retail store security cameras installed. Not only will video surveillance cameras help protect against shoplifting, but they can also improve store safety, experience, and security. Every business should consider installing some type of security cameras as a way to protect the company’s assets and improve the overall safety and security of the business, and CCTV security camera systems are the way to go! Looking for Security Systems in Colorado? 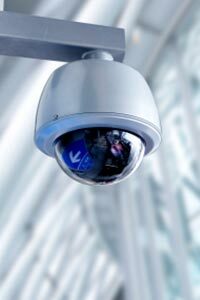 Is your Colorado business ready for security camera systems? If so, contact Visual Security LLC. At Visual Security we offer some of the best store security cameras in Colorado. Contact our team today.